The nation of Judah had returned from captivity, and it was the time for the rebuilding of Jerusalem. They were to rebuild the walls of the city, and also the Temple. What began with good, even godly, intentions had begun to be neglected. The people had become concerned with their own priorities instead of with God’s priorities. It is into this scene that the Lord sends the prophet Haggai. Twice he warns the people to stop and think, or in other words, “consider your ways”. It is clear that the people had become more concerned with personal desires than what God required. Indeed, this rebuilding of the temple was one of the two main reasons they had been able to come to their homeland at all! God is reprimanding them for not keeping Him as their first priority. It amounted to self-love. We do much the same today when we fail to follow the command of Jesus to “seek first the kingdom of God and his righteousness, and all these things will be added to you.” (Matthew 6:33 ESV) the problem was not that God was against paneled houses. The problem was that their works showed that their paneled houses were more important than the Temple. We, individually and corporately, are the temple of the Holy Spirit. When we put on the outward show of having it all together and make sure we look good to others, yet neglect our spiritual walk with Jesus, our temple is in ruins. We, too, must stop and “consider our ways” and rebuild our inner man to be a fitting temple in which He can dwell. Haggai then gives them a list of things that are going on with them that were supposed to be wake up calls from God but were being ignored. Because His house is in ruins, God begins to treat their house like they are treating His! The discipline to which He subjects them is an utter futility in everything they do. They have much to eat and drink, but are running around thirsty and hungry. They earn money but it’s as if there are holes in the money bag. Why? Because God will not, ever, take second place in anyone’s life. He will not be the featured guest of a specific section of our lives. We cannot say “Jesus is Lord” while segmenting Him into a corner, and making other things a priority. God will not tolerate the breaking of the First Commandment. What part of “no other gods” did they not understand? If Jesus is not master of everything, then He is master of nothing. He will not accept divided allegiances. Are you going through anything described in the verse above? Is there a pattern of diminishing returns in your life? A good, biblical, place to look is in your priorities. Is Jesus really number 1 in your life? During any period of economic challenge, the church needs to rise up and seek first the Kingdom of God instead of our wants and desires. It is a healthy thing to take time out and consider our ways. Let’s put an end to some of the destructive duplicity and build up the temple of God that is in and among us! How do you define success? Specifically, how would you define “success” in ministry? Is it having a large congregation? Is it being a sought after speaker? The number of baptisms you have performed? And does your definition match God’s definition of success? There are many names of people in Scripture who God declared to be successful, that the world (and I dare say much of the church) would say had failed. Take Noah for instance. The man preached for over 100 years, and the only converts he had to show for it were his wife and kids. Or the prophet Elijah, who as a reward for preaching the truth had a price on his head! Or Jeremiah, whose message was greeted with such hostility, they threw him in a cistern to die. Why did these men do these things if they were doomed to fail? Because God doesn’t measure success the way man does. God measures success as faithful obedience in a relationship with Him. It has never been about how well we do a thing. It is based on having a right standing with God. When that happens, spiritual fruit will follow. Having that kind of focus will keep us from burning out when the world doesn’t beat a path to our door, fall to their knees, and ask what they must do to be saved. Jesus told the disciples this same thing. If we get too focused on what we are doing instead of who we are doing it for, we are setting ourselves up for failure, even though the world may call us a success. Jesus knew this and redirected the disciples’ rejoicing to something of eternal significance — that their names were written in heaven. Paul admonished Timothy to make full proof of his ministry. He didn’t tell him to market the church, or raise outside support. He was to preach the Word in season and out of season (2 Timothy 4:2). Put in simpler terms, that means to preach the Word when people want to hear it and when people don’t want to hear it. Preach when it is easy and when it is hard. And if you spend your live faithfully giving spiritual food to His sheep, the Good Shepherd will reward you on the last day. 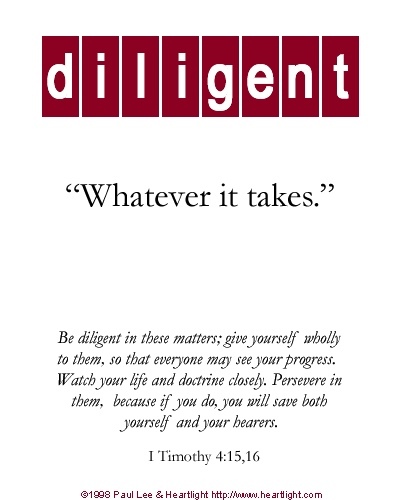 Just be diligent to deepen your walk with God, and the rest will follow. Paul’s charge to Timothy sums it up well. It sounds like a planet from a science fiction book, doesn’t it? But it was a little village in ancient Canaan located down on the plains of Sodom. It was so small that it would have passed into history and never have been remembered. But Lot and his family put it on the map of scripture for all time. Let’s see what we can learn from little Zoar from Genesis 19. The angels of the Lord have condemned Sodom due to their sin, and are telling Lot to take his family and flee. Notice that the angles tell Lot to get completely away from the Valley and to flee to the protection provided by the mountains so that they will not see what is about to happen. Here is where Lot makes a critical mistake. He is willing to leave the city, but he doesn’t want to go too far away. He is leaving, but his heart is still back with what they have just left. So Lot asks for permission to exercise partial obedience and just go to Zoar. The name Zoar means “smallness”. This was another in a long line of foolish decisions for Lot. They began in Genesis 13:10-13 when he saw what looked like an easy life down in the Jordan Valley near to Sodom. A few years later in chapter 19, Lot has moved into town and has let the culture corrupt his thinking. This is evidenced by his offer of giving his two virgin daughters to a crowd to be sexually assaulted like it was normal practice. And now, he takes the easy road again, and it will cost him dearly again. Rather than make the trek to get completely away, he begs to make the shorter journey and stop at Zoar. The problem with Zoar was that he would be able to look back and long for what they had just left. First of all, the will of God is rarely, if ever, the easy way. In Genesis 13 Lot had chosen to live by Sodom without ever praying and asking God what he should do. How often do we make decisions we have not prayed about just based on how wise it looks in our own eyes. This is also a story with application to repentance. Lot started by getting close to sin. Finally, he was comfortable moving in with it. He became so used to it that when he left, he wanted to keep it close by, just in case. 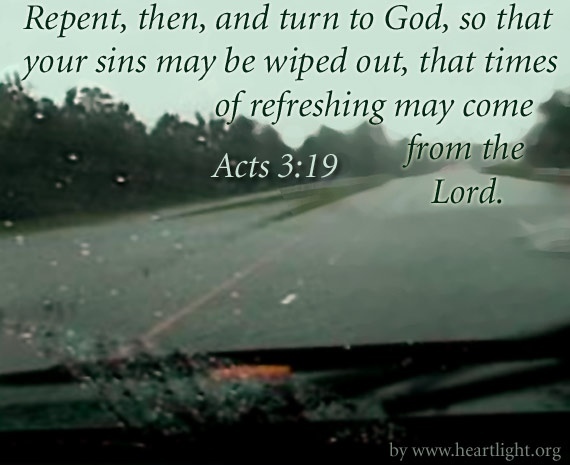 So often our repentance can be the same if we are not intentional about it. We decide to leave a sin, but give it our forwarding address, too. Christ has called us to be holy. That simply means to be set apart for Him. We cannot do that if we insist and keeping our favorite sins close by. Lot had been told to completely leave and forsake Sodom. Instead he settled for smallness in Zoar. So instead of dwelling in the place of protection, he tried to see how close he could stay without actually being inside the city. And yet Christians have a bad habit of seeing how close we can get to sin without crossing over the line. When instead we should be getting as far away from it as we can. And we are not the only ones who suffer the consequences of our decisions. In Lot’s case, it cost the life of his wife. There are no victimless sins. Someone is going to be hurt. The wages of sin is death (Romans 6:23) so why are we hanging out with it? Satan is a serial killer and there will always be a price to pay for compromising with sin. Christians, let’s go all the way with God and forsake out sin completely. Let’s go to the protection of the mountain of the Lord. God has wonderful good works prepared for us (Ephesians 2:10). There is no need (indeed there is real danger) to settle for a Christian life of smallness in Zoar. Ever turn off the radio when they are going to announce the final score of a game? Not me! I am not going to waste my time watching a game where I am just going to be frustrated because my team didn’t come out on top. Just tell me the score and I can get over it and move on without the stress of watching the agony of defeat unfold in front of my eyes. The other night I did just that. I looked on my phone for the score of the football game, and knew going in that my team had one. It was still interesting because I still didn’t know exactly how it would all unfold. It was noted that while my team was 17 points behind, I was remarkably unconcerned. Of course I took the opportunity to say that I felt like they were going to make a comeback and win this thing. The final battle for our eternal destiny is the same way. Jesus gave this unveiling of the climax of history when He gave John the Revelation. I used to sum up the theme of Revelation in just two words – we win! But I have changed that summation to a different two words – Jesus wins! You see, we don’t automatically win, unless we are in Christ. If that is the case, then when He wins, we win in Him! It is so much less stressful to live life knowing that, no matter how bad things may look from where we sit in space and time, that we are still on the winning side. In Revelation 12:11, John is given a summary of the winning strategy for believers to follow if we are going to defeat the enemy. Our first key to victory is the blood of the Lamb. The primary reason this is so is that without it, we are on the wrong team, and still in our sins. The latter part of Revelation 1:5 speaks of Jesus as “Him who loved us and washed us from our sins in His own blood”. That’s a big deal! And being washed in His blood happens when we begin our journey “in Christ.” But how does one get into Christ and onto the right team? Paul told the Galatians that, “For as many of you as were baptized into Christ have put on Christ.” We are in Christ when we are baptized into Christ. If you have not been baptized, you are not in Christ. I am not usually so blunt, but this is too big a deal to soft pedal it. The third key to victory is that they did not love their lives to the death. This is a difficult one. The vast majority of us will not be presented with this proposition in the physical sense. But we are also to die another way. 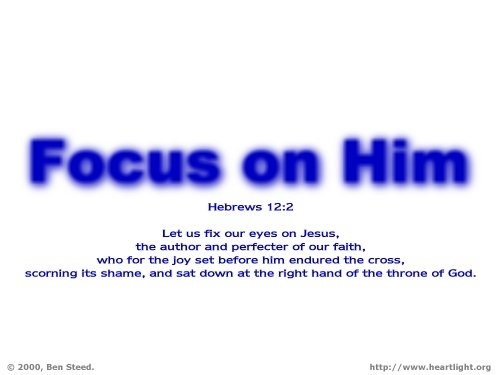 Jesus said we need to take up our cross daily and follow Him. (Luke 9:23) There is only one reason to take up a cross that is yours – to die on it. We are commanded to put give up our lives, and live for Him instead. 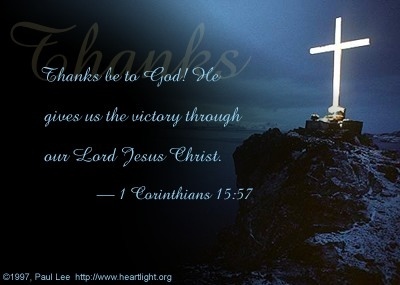 Paul said that he died daily (1 Corinthians 15:31). But it is necessary if we are to walk in a new life. Paul told that Galatians “ I have been crucified with Christ; it is no longer I who live, but Christ lives in me; and the life which I now live in the flesh I live by faith in the Son of God, who loved me and gave Himself for me.” (Galatians 2:20). When does this initially occur? I think Paul was making a reference in that verse to his baptism. And the connection is at Romans 6:3-4, where Paul likens baptism to a participation in the death, burial and resurrection of Jesus. So there we have it. The three-point strategy for victory. But that assumes that you start the battle on the side of Jesus Christ. Get in the battle on the winning side and move on to victory in Jesus. We already know the score! I would like to pose a question to you. Which is easier to do, weeping with those who weep, or rejoicing with those who rejoice? Before you answer please consider the following points, because I am convinced that it is easier to weep with those who weep. Of course it is easy to rejoice with a family member or close friend that is joyful over a happy turn of events. But what about the co-worker who gets the promotion we felt should have been ours? Do we succumb to envy, or do we rejoice with them and really mean it? When the Apostle Paul wrote these words, he didn’t put any qualifiers on it. We are to rejoice with those that rejoice, period! In the Sermon on the Mount recorded in Matthew 5, Jesus addressed this subject as well. But why does God require us to treat “evil” people this way? Because that’s the way He treated us! Yes, while we were sinners and His enemies, Christ died for us. He didn’t wait until we changed our minds and wanted to have a relationship with Him. He died for us while we were squarely in the dominion of darkness. And if we have received the mercy and grace ourselves, we would be despising the love that was demonstrated for us to withhold that from others who are our enemies. So when someone who is out to get you gets a promotion, or when another who is less deserving gets a raise, or someone else marries the one who you once were so close to, rejoice with them! The only way way to overcome darkness is with the light. 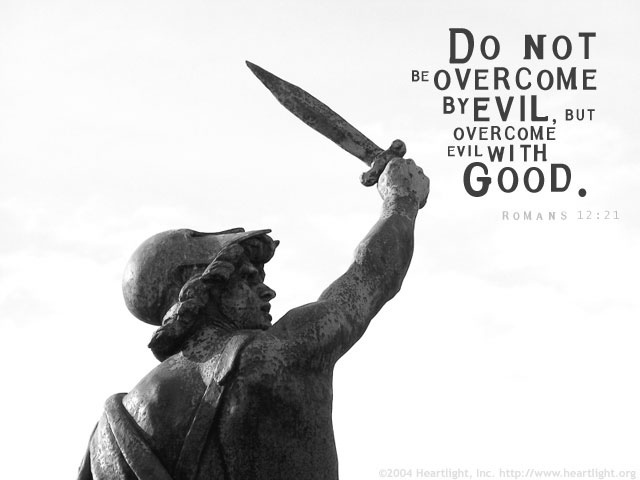 And the way to overcome evil is with goodness. In the end, you will preserve your soul, and may deliver theirs as well! Have you ever needed to act in someone else’s name? It probably started early in life with something like this: “Mom said you better come inside now for dinner!” In effect, you were saying, “in the name of Mom, come in for dinner” because she had authorized you to pass on a message for her to someone else. And while you were sticking to the message she actually gave you, you had the authority of her name behind your words. However, if you were to say, “Mom said you had better come inside now for dinner, unless you want to let me have your dessert.” then you would no longer be within the delegated authority she gave you. 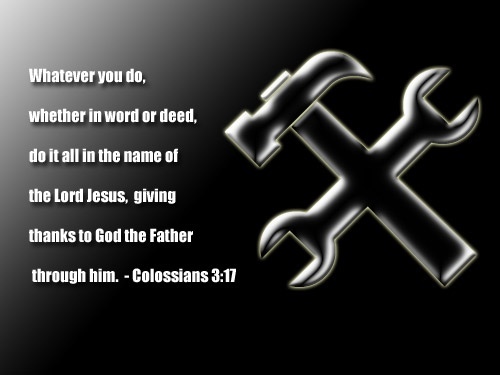 In the same way, Jesus Christ said to do many things in His name. That phrase is not some magical incantation that bestows power and whatever we want to do or say. Rather it is a statement of the authority behind saying or doing something. Thus, when Peter said, “Peter said to them, “Repent, and each of you be baptized in the name of Jesus Christ for the forgiveness of your sins; and you will receive the gift of the Holy Spirit.” (Acts 2:38 NASB) he was not giving the secret words to make your baptism work. He was stating that one should be baptized for the forgiveness of their sins because Jesus said to do so. In the same way, we are told that when we pray we are to ask for things in Jesus’ name, and it will be granted. Does that mean that we can say anything we want and it will be given to us as long as we say “in Jesus name” at some point during the prayer? Of course not! What Jesus assured the disciples of was that if they asked for anything that He told them to ask for (i.e. in His name) that the Father would grant it. What is also implied is that if we ask for things that are not what He wants for us, then the request is not in His name. We must be careful about saying we are doing something in Jesus’ name if the Bible has not spoken of it, lest we use His name in vain. And by the way, you can pray in Jesus name without tacking on “in Jesus name” at the end, but it is a good reminder for us to check ourselves and be sure that what we are asking for in His name is really what His will is for us. This is not overly restrictive. We are commanded to do certain things in His name. So if what you are doing or saying is in accordance with His revealed will; if it is something good that you can be thankful to God for, then give thanks and act or speak in His name!